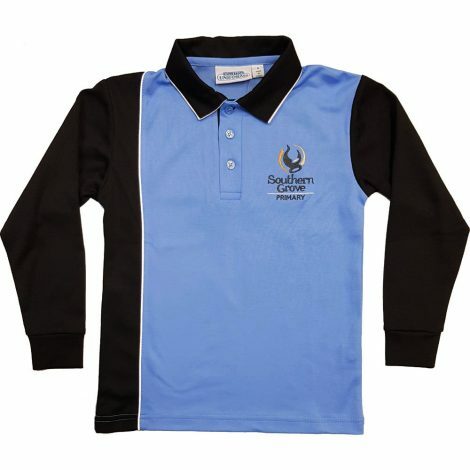 Cotton backed polyester sports mesh polo. Long sleeve with embroidered logo. Tag: Southern Grove Primary School.